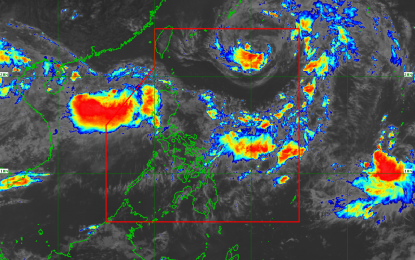 MANILA—Two weather systems -- Typhoon “Inday” (international name Ampil) which has intensified into severe tropical storm, and a new low pressure area spotted outside the Philippine Area of Responsibility (PAR) -- are enhancing the southwest monsoon or "habagat", bringing intermittent moderate to heavy rains in most of Luzon over the weekend. Metro Manila and the rest of Luzon will experience scattered light to moderate with occasional heavy rains until Saturday. Residents in these areas are warned against possible flooding and landslides. Sea travel is risky over the western seaboards of Luzon due to the southwest monsoon.